In the past 3 years, the rise of content marketing somewhat led to a decline of technical SEO. While quality content is the hallmark of a brand, you should not ignore the technical setup of the site. 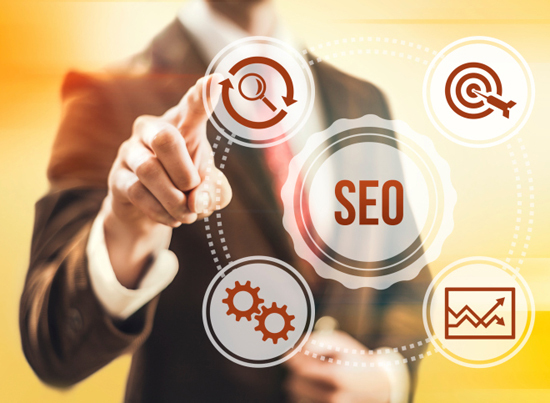 Without implementing adequate technical SEO strategies, the potential of the published will not be fully explored. Before beginning the next content marketing campaign, consider the following technical SEO fixes. Internal linking is a cornerstone for building link equity. A typical business website has product/service pages and an active blog. Interlinking relevant pages helps to reduce bounce rate and creates a favorable impression for the search engine bots. A new blog post should be liberally linked with previously published content. Let us assume you want to publish a tutorial on buying a DSLR camera. Now, if the blog already has content such as an introduction to DSLR camera, tutorial on photography, some latest news, or any other relevant media byte, interlink these with the DSLR tutorial post. This strategy will push the readers to check out more content (improved bounce rate) and search bots will actively scan the linked URLs which leads to a better SERP. Similarly, if the blog encourages guest writers and contributors, create Author pages for all them to give the authors a structured portfolio page containing all their contributions. Crawl errors are a primary reason of a website’s ineffective performance. The problem intensifies with large sites containing thousands of pages. A common complaint heard in the SEO industry is that search engines like Google are not crawling and indexing latest content pages quickly. In contrast, some blogs get indexed within minutes of publication. Why? The reason is that their crawl structure is sorted. Use the nofollow tag on the parameter links. Modify the robots.txt file to block Google from crawling the query parameters. These changes can be done through the Google Webmasters Tool. Only a single version of the website should be crawled, and the remaining versions redirected to the main page. Lastly, check Webmaster Tools for redirected or broken page as they wreak havoc on crawling efficiency. Once the above technical SEO fixes are done, the crawl efficiency will improve. From the perspective of technical SEO, it is erroneous to host content on subdomains. Often, businesses host their blog or other unique offerings on a subdomain like blog.mywebsite.com. While this setup is considered easier from the perspective of site development, Google does not consider it as a part of the primary domain and any value from the links acquired on the subdomain will not benefit the primary domain. An example in context is the Sistrix case study about Monster.com (UK) website which experienced a 116% increase in visibility when two of their subdomains were migrated to the primary domain. You can read the case study here. Ensure to host all the content on the primary domain otherwise all the marketing strategies implemented on the primary domain will be wasted. Rankings plummet when a website publishes lots of thin content – a category of content which does not add any valuable insight for the readers. Irrespective of how perfect the SEO plan is, the rankings will not improve much. Google employs the Panda algorithm to score each website based on their content quality. In effect, publishing ten in-depth and informative blog posts is better than publishing hundred blog posts with thin content! Websites with thin content should initiate a content cleansing plan where the existing content is revised by an experienced content writer and editor. Or, the thin content pieces should be removed entirely from the website and to prevent excessive 404 errors, those URLs should be redirected to other Live blog posts. Business website owners often make the grave mistake of not analyzing the engagement on their existing content pieces. They ideate to create strong content, even deploy marketing strategies, but what about content performance analysis? Webmasters should use tools like Facebook Page Insights, Google Analytics, Wordstream and Rank Tracker to measure the social engagement rate, acquired backlinks, incoming long-tail keyword searches, and the content ranking positions. Without tracking these metrics, it is useless to publish and market any content. Every website owner, whether it is a new website or an old one, should make page load time a priority. Amazon will suffer a loss of $1.6 billion in sales if the page load time increases by even a second (source). Ideally, a website should load within 3 seconds, otherwise, a visitor abandons the page and moves on to the next page. It could cause a tremendous revenue loss to the website owner. Hence, invest in resources that helps to maintain a good page loading speed. You can hire a full-time page speed optimizer or do-it-yourself if you have the technical know-how. Research more, understand in-depth, and deploy these six technical SEO fixes before continuing with your content marketing strategy.